Rattlesnake County | Country & bluegrass duo from Cork, the original deep south swamp! Rattlesnake County crawled out of the deep south swamp of Cork, Ireland in 2011, leaving behind a series of large debts and tall tales. Raised by a stack of abandoned guitars and a pack of wild cards, they were found in the woods playing their own brand of feral acoustic country ranging from Neil Young to ZZ Top. Giving classic country, folk and rock songs a touch of bluegrass fiddle and a hint of gospel harmonies, Rattlesnake County will leave you tapping your toes and humming a few old forgotten tunes. 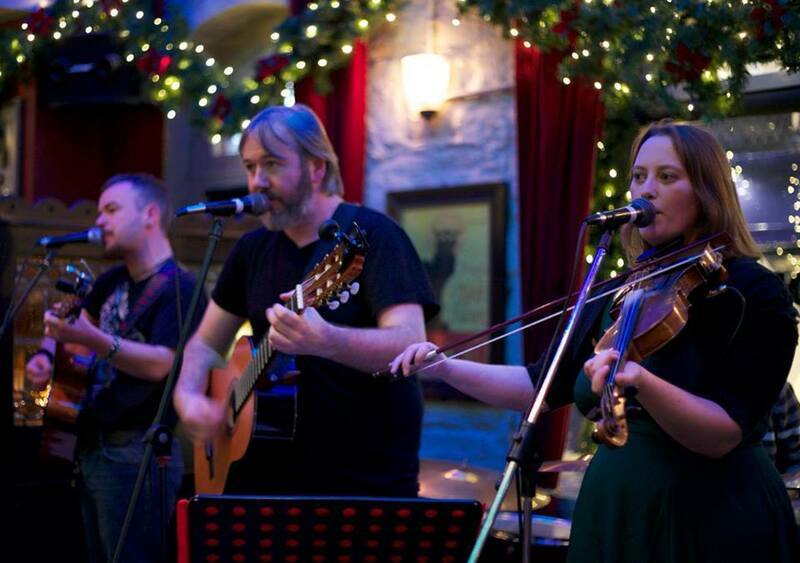 Rattlesnake County began life as a five-piece band, but now play as a duo (fiddle and guitar with vocals), and are based in West Cork. Check out the Audio and Video page to get a flavour of some previous live performances. For booking information, please phone Dylan on 087 9764765, email rattlesnakecounty@gmail.com or send us a message through the Contact page.